Despite the fact that most Americans own multiple copies of the Bible, biblical illiteracy is on the rise. People fail to see the Bible’s relevance, they don’t take time to read it, and when they do, they struggle with the unfamiliar language. Many recognize the theoretical importance of Scripture but lack the confidence to engage it in a meaningful way. Bell contends that “religion” has hijacked the Bible, isolating it from many potential readers. For him, Scripture is primarily horizontal—a collection of books aimed at rescuing humans from destructive modes of being in order to create peace in the world. From the start, it’s clear that he has no interest in preserving or interacting with Christian orthodoxy. In fact, he treats orthodoxy as the problem. He doesn’t recognize that believers throughout history haven’t died for a progressive teaching on human peace, but for the orthododox truth that God himself has purchased our peace through the crucifixion of his Son. 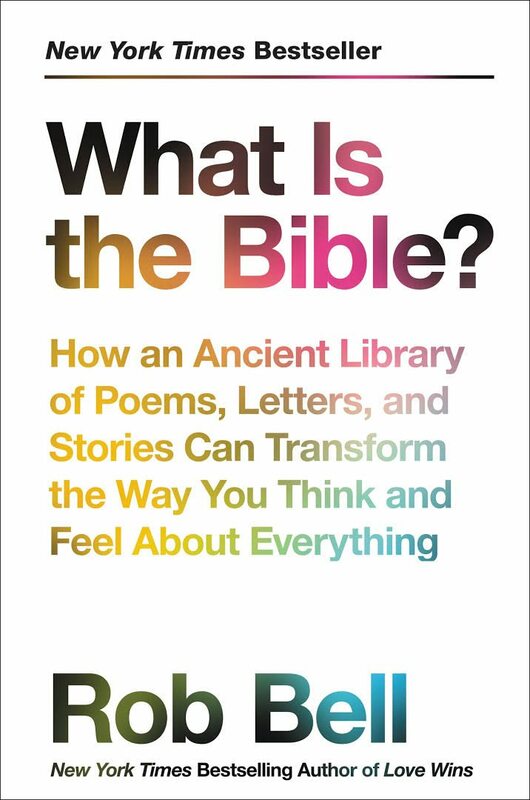 Bell begins his book by explaining that a larger story flows beneath the individual tales in the Bible. In a second section, he describes the nature of that larger story. Then, he discusses the effect that story has on us as readers of the Bible. The final portion of the book addresses some major questions about the Bible. The book’s greatest strength is its plea to read the Bible “literately” instead of “literally” (80). By this, Bell means appreciating individual texts for their distinctive genre and their place in the overarching narrative of Scripture. Doing so means studying the poetry of the Psalms in a different way than the Gospel narratives or prophetic and apocalyptic books. Readers of Scripture need to appreciate qualities like genre and plot if they hope to arrive at a sensible understanding of the text. Bell urges readers to let the Bible be what it claims to be, but his interpretation of the Bible falls short of his own standards. It’s one thing to accurately consider the content of Scripture and come away in disagreement. Instead, Bell recasts the Bible as a human product aimed at creating an elevated consciousness, a conclusion that finds no grounding in Scripture itself. From the start, Bell explains that the Bible is “a book about what it means to be human” (4). He describes it as a library of evolutionary thought written to deepen our understanding of what it means to live an enlightened life (281). Starting with Abraham, Bell treats the biblical narrative as focused on a “new tribe” committed to blessing the world and displaying love as opposed to perpetuating the cycle of violence prevalent in the ancient Near East (12). Over time, he claims, Abraham’s offspring compiled and edited the Hebrew Scriptures to create a progressive and enlightened ethic aimed at “raising [the] consciousness” of its readers. HarperOne (2017). 336 pp. $27.99. According to Bell, the creation story of Genesis was arranged during exile in Babylon as a peaceful alternative to the violent pagan creation myths (289–90). Satan also took literary form during this time as a way of thinking about evil, which resolves some of the apparent contradictions between Old Testament books (275). Discussing Leviticus, Bell explains that the sacrificial system was a human invention put in place to deal with feelings of fear and guilt (244). Perhaps [Rob Bell’s approach] will ease your concerns with the Bible, maybe even grant you hope for today, but will it lead you to a faith worth dying for? Bell treats the New Testament similarly when he contends that Jesus didn’t have to die. Rather, he claims Jesus was murdered, and the writers of the New Testament simply interpreted his death in light of the sacrificial system. According to Bell, Christ didn’t come to die for the atonement of sin. Instead, his life was spent putting “flesh and blood” on the words of Scripture. He was a physical interpretation of the Torah and left his followers a similar responsibility to “make decisions about what’s written in the Bible” (161). Such views fail not only an orthodox understanding of Scripture, but a literary one as well. Despite his call to read the Bible “literately,” Bell ignores his own advice. The Bible clearly states that Christ wasn’t killed against his will (John 10:18) and that he claimed to be the exclusive path to relationship with God (John 14:6). Further, his disciples understood Christ’s death to fulfill God’s plan (Acts 2:23; Gal. 1:4). The biblical writers insist Scripture isn’t merely a human product but the result of divine inspiration, unveiling the hope of salvation through faith in Jesus Christ (2 Tim. 3:15–16; 2 Pet. 1:21; Heb. 1:1–3). In What Is the Bible?, Bell comes to the Bible having already decided who God is and how he interacts with the world. In effect, Bell’s model reduces the Bible to a mere record of revisionist histories, and he ignores its literary continuity or claims. Even someone with no commitment to orthodoxy can see that Scripture describes itself as a uniquely God-inspired collection of books revealing Jesus Christ as the singular means of salvation from sin—a truth Jesus himself taught (Luke 24:27; John 5:39). The faith the Bible describes isn’t one option among many, as Bell claims, but the unique path of reconciliation to God through faith in his Son. In What Is the Bible?, Bell comes to the Bible having already decided who God is and how he interacts with the world. It’s neither the text nor tradition that gives the Bible authority, but the interpretations of its readers (272). Rather than allowing Scripture to govern his views, Bell’s prior conclusions reign supreme. As a result, his book substitutes revelation and tradition with a “natural” reading of the Bible meant to translate to a contemporary setting. After all, if Scripture is merely an evolving human story contributing to a more enlightened life, then it requires constant reinterpretation, which Bell is more than willing to encourage. His book exhibits the hazards of abandoning historic orthodoxy. Orthodoxy isn’t our enemy. Rather, it helps us understand both what to believe and why to believe it. Believers around the world have given their lives to preserve the truths Bell subverts, among them being the truth that the Bible is more than an enlightening book, but a divine timeless revelation from the living God. While the Bible has social ramifications, its ultimate aim is higher. Scripture is the story of God revealing the path to a right relationship with him through Jesus Christ—a relationship that will endure forever. That is the message for which believers have gladly laid down their lives. The Bible is more than a manifesto on human dignity. It tells us that the cure to our crisis exists not within us, but outside of this world and has drawn near in the person and work of Jesus Christ. For thousands of years, Christians have labored to preserve these truths about Scripture and passed them down to the generations that followed, even at the cost of persecution and martyrdom. They did so not because they found an enlightened consciousness through the Scriptures, but because they met Jesus Christ. The same question is before you today as a reader: What is the Bible? To engage the text meaningfully, you’ll have to make a decision regarding what you believe. Bell offers one approach to Scripture, but it’s neither a Christian nor a literary one. Will your decision account for the sobering weight of history? Perhaps it will ease your concerns with the Bible, maybe even grant you hope for today, but will it lead you to a faith worth dying for?